The largest-selling gadget magazine in the world entered the Indian market in Dec 2008 and has been capturing the minds and imagination of design gurus and tech geeks ever since. 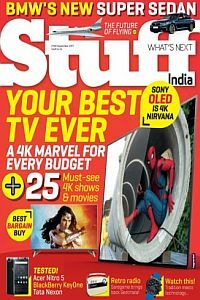 Stuff India covers the gamut of consumer electronic devices including new launches, nuances / comparison of existing ones, user experience which offers a tried and tested approach, reviews through tests conducted in our labs in UK and those done by the specialists in India and a buyer’s guide on the models, their availability in India and approximate retail prices. .